The Gold Coast 2018 Commonwealth Games, Australia: 4-15 April 2018. 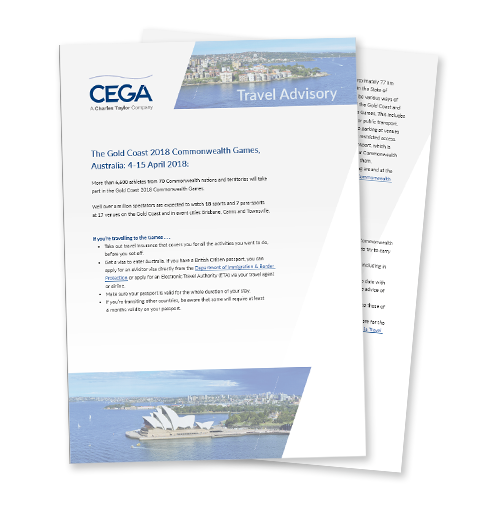 Read the CEGA Travel Advisory - Safe Travels . . .